1) I like the way he admits that many in the reformed tradition, in responding to Socinian rationalistic critiques of the penal model, have inadvertently fallen into their own kind of rationalism. Packer brings us back to Calvin, back to an appreciation of the essential mystery of the atonement, back to an awareness of the finitude and analogical nature of our language and logic in speaking about it. He presents penal substitutionary atonement as a dynamic thought model (his language), not as a logical formula all the mechanics of the atonement. This sort of approach seems to me to stay closer to Scripture and avoid some of the rationalistic errors of other proponents of the penal model. 2) On pp. 73-74 Packer addresses the objection that a penal substitutionary model of the atonement has too little focus on the resurrection, whereas a Christus Victor model is able to account for the necessity of the resurrection. Packer points out that only a risen Christ can apply the forgiveness which he died to achieve, and that in Colossians 2:13-15 the Christus Victor and penal substitutionary models are both present. I would even go further and say that in Colossians 2 the Christus Victor theme is premised upon the penal substitutionary theme, for it is precisely because our sins and trespasses and “record of debt” were nailed to the cross of Christ (vv. 13-14) that Christ triumphed over the demons (v. 15). 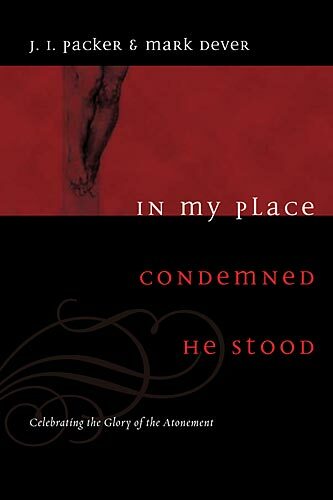 I’m convinced that a penal substitutionary atonement model is not at odds with a robust focus on Easter morning – in the New Testament, the two are frequently linked. For example, in Paul’s speech at Antioch, after a lengthy explication of Christ’s resurrection (Acts 13:32-37), he immediately declares that “therefore” forgiveness of sins and justification before God is possible (38-39). The apostles just didn’t operate with our either-or categories. 3) On pp. 84-88 Packer shows how the principle of representative solidarity with Christ as the new man, the second Adam (a major theme throughout the New Testament) is not at odds with the penal substitutionary model, but fits together with it. He draws from Luther’s language that Christ’s substitution for us under the penalty of sin was one “moment” of a larger transaction in which Christ entered into our human situation and became one of us. The concepts of representation and substitution are complementary, not alternatives, for substitution on the cross is the highest and greatest moment of Christ’s representation. Packer: “on the cross Jesus’ representative relation to us, as the last Adam who image we are to bear, took the form of substituting for us under judgment” (87).